John has lived and worked in the Colonel Light Gardens and Daw Park area for most of his life, and brings a wealth of knowledge to the area. An Accountant by training, John is aware of the need to bring transparency and integrity to the sales process. With his skills in accounting and administration together with extensive experience in negotiation and sales of high end products, he achieves great results with minimum fuss. Married to Christine with two sons, Ben a Property Valuer and Nick an Apprentice Electrician, John enjoyed his early education at Edwardstown Primary then later Daws Road High School. John´s strengths have always been to negotiate and close a sale with an outcome which is agreeable to all parties. Due to his background he is very aware being accountable to both buyers and sellers, keeping lines of communication open at all times. Business Owner of the Year 2009 and winning major awards both corporate and personal, Stephen co-leads a dedicated team of real estate professionals. He is unwavering in his passion to be the best possible choice to sell your property, understanding that his job is to obtain the most favourable sale for you in the shortest time, with a minimum of fuss. 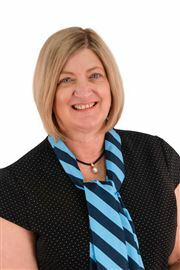 Alison Chapman is a successful marketing consultant specialising in residential property in the Eastern & Western Suburbs. Alison is also a qualified Auctioneer. “I thrive on providing great customer service because I treasure it, knowing it can be hard to find. My own customer skills are based on what I have learnt - first hand - while living in Kyoto, Japan, one of the most traditional cities in the world. Working alongside top customer relations providers I saw for myself how customer service should really be done, by elevating it to the height of luxury as a matter of daily routine. This level of service is unheard of in many parts of the world but it is something I always strive to provide in Adelaide, to my own clients, all the time. “I deliver on what I promise and, by describing myself as ‘the real one’ in real estate, I am confident in doing so. I guarantee that my service will always be professional, honest and genuine and fully appreciate that buying or selling a home can be a stressful time. The financial transaction involved can be considerable and so I will always try hard to reduce the stress if I can. By listening carefully to my clients I can understand their needs better and my service is based on principles that are sound, including respect, honesty along with good manners. 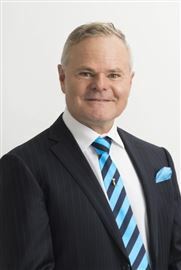 I provide great service because I love to do so and because working with new clients makes me feel happy and, when a satisfied client recommends somebody new, or returns themselves to do business with me again, I feel honoured.” Specialties: Speaking fluent Japanese, Residential sales, Off the plan sales, Land sales, New Build sales, Luxury listings. Andrew knows first-hand what it takes to succeed in today’s market. Hardworking and determined, his energy and enthusiasm for real estate is softened only by his warm and personable approach. Having established businesses both large and small, local and nationally franchised, grasping market trends, understanding economic factors and delivering strong negotiation skills that turn potential transactions into successful sales. 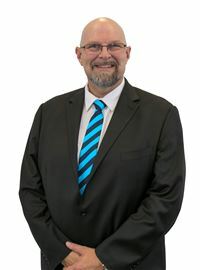 Buying, selling, developing and leasing residential and commercial property is second nature to Andrew, along with his strong sense of community and desire to uphold a solid reputation. As a client of Andrew, you benefit from his tried and tested wealth of real estate knowledge. “I enjoy the negotiation process, and focus on good communication when dealing with both purchasers and vendors.” Andrew Elsegood. However, selling property is not always straight forward, and sensitive situations can arise… Whether it is a deceased estate or a partnership separation, in the caring hands of Andrew, delicate family matters are handled with understanding and empathy. Non-English speaking clients can also make use of Chinese, Vietnamese, German and Greek translation services available through the Venn Millar office. Sheree, Andrew’s wife, also a licenced real estate agent, assists when required. Acting as a team, they can offer premium customer service and support. Make the call. Invest in a personable, real estate connection with a couple you can trust. Specialties: Residential and Commercial Sales. Using latest Real Estate technology, Strong presence on Facebook and LinkedIn, Marketing your property, Presentation of your property, Working with a strong buyer database to find the perfect properties. Combination Properties i.e. Farms/ Vineyards/ Business/ Stock and inventory/ large or small scale. 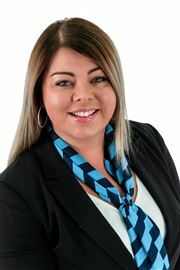 One of Adelaide’s most popular and successful property consultants, Kaylene kicked off a glittering career 15 years ago with the coveted Rookie of the Year Award. An impressive buyer database, up-to-the-minute local knowledge and meticulous attention to detail position her as one of the most effective agents in Adelaide, regardless of market conditions. I hold the responsibility of selling your greatest asset in the highest regard, working within three core beliefs of the truth, client care and the highest price. Independent private treaty training undertaken will place more dollars in your pocket. Allow me to show you how highest price declarations attached to offers on contract achieves this. Where auctions are appropriate we use a highly skilled auctioneer liaising with us to obtain the best cash buyer at their highest price. The selling service includes buyer help for you when sold. I will guide you through the negotiation and contract process of your next home Recent testimonials give you important feedback on how clients feel at the end of the process. Please contact me any time. I am ready when you are. “Mike was always on hand to give advice on the best way forward. We felt he always had our best interests in mind. We would certainly employ his services in the future. Thank you.” Alex Hunt, Cambridge Tce, Kingswood. “We have bought and sold many homes and have never had this level of service. You made it clear and simple for us to understand what you were going to do. We will be in touch again. Many thanks.” Lynn Guerinett, Mitcham. “Mike, Thank you for achieving a quick and painless result in selling my home at Hawthorn. 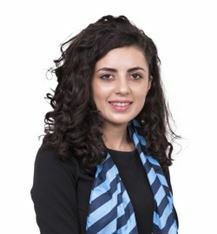 I would have no hesitation in recommending your thorough and professional methods.” Claire Smith , Cross Rd, Hawthorn. “We were impressed with Mike’s tenacity and the hours he put in to get us across the line He has an impeccable work ethic and kept the line of communication open throughout.” Samantha and Andrew Clarke, Colonel Light Gardens. “Mike’s professionalism made selling our home an absolute pleasure. We did have moments but Mike walked us through the journey to answer any questions and put our minds at ease.” Andrew and Shannon, Cheviot Ave, Lower Mitcham. “We knew he understood our house and the people who were likely to buy it. Mike was always professional, thorough and helpful throughout the entire sale process. Thanks so much.” Graham and Nicole, Morgan Ave, Daw Park. “Dear Mike, This is a small note to say thank you for your support and assistance in working with us. Without hesitation we would recommend your services to any prospective seller.” Val and Maria, Avenue Rd, Clarence Gardens. “What an outstanding result. Well above the price we were expecting and altogether a painless, short and cost effective campaign. 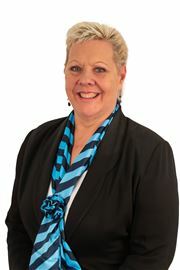 We recommend you and Harcourts to any potential seller.” Linda and Brenton Sutton, Trevelyan St, Wayville. “Mike made the process as easy as possible and gave me the sense that my feelings and wishes were of paramount importance in achieving the right sale. I recommend him unconditionally.” Beverley, Wallis St, Parkside. “We can thoroughly recommend Mike as a professional and competent person who can be trusted to achieve the best outcome for the sale of your most valuable asset.” Rob and Julie Smith, Reynolds St, Blackwood. “Mike, This comes with warm and sincere gratitude. Thank you for your effort and tolerance in selling our home.” Ron and Mavis Cole, Alma St, Panorama. “Mike was helpful in helping me sell my home. He has real heart and is honest in his procedures. I would have no hesitation in recommending him.” Michael McElligot, Richmond Ave, Melrose Park. “A heartfelt thank you for everything. Our gratitude forever.” John and Vicki, Nungamoora St, Hallett Cove. “I will happily recommend you to family, friends and acquaintances.” Sue Hale, Black Rd. Flagstaff Hill. “This sale is the single most important financial event for our family. Thank you.” Peter and Sue, Byard Tce, Mitchell Park. Yianni Garbas is a highly motivated and approachable individual, he is passionate about people and helping them achieve their goals through property. 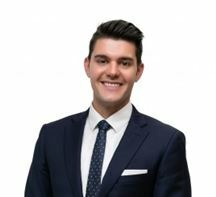 Yianni comes to Real Estate with a myriad of skills as a qualified Chartered Accountant, providing him with the analytical and communication skills to negotiate with confidence. Yianni comes from a family steeped in Real Estate, the son of a realtor and building inspector, Real Estate has been his life. A consummate professional, ensuring he always delivers an exceptional result and experience for his clients. If you are thinking about buying or selling, Yianni welcomes the opportunity to assist you with your property needs. Julie’s passion for property management is evident in her dedicated work ethic and 6 star customer service. 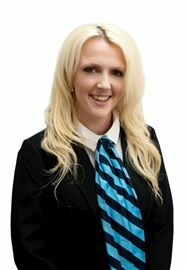 She will personally manage your property from the start and see it through to the end. Along the way she will provide valuable advice on property presentation and improvements, tenant selection, legislation and maintenance. With old fashioned values, such as honesty and integrity, in the fore front of all aspects of her property management, you can be rest assured that Julie is taking care of your invesment to maximise your financial security. 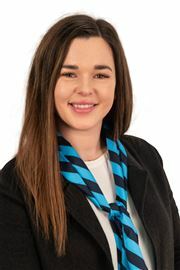 Kyla joined the Harcourt’s VennMillar team in March 2015 and with an extensive 6 years in the industry from all areas including reception, administration, sales, through to property management she has been the perfect addition! During this time Kyla has undertaken training to ensure her skills and knowledge are always up to date, successfully completing Certificate III in Business Administration, REISA Certificate in Property Management and REIQ Sales & Property Management. 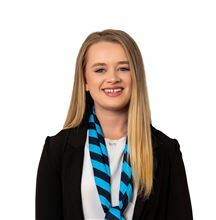 Kyla has a very strong work ethic, which combined with her enthusiastic attitude, attention to detail and outstanding customer service makes her a very valuable team member. When Kyla’s not at work she enjoys spending time with her family, playing with her adorable puppy Gus and love’s a good camping get-away! With over 15 years experience in Property Management, Marissa understands what is required to achieve the highest rent and find you the best tenant. 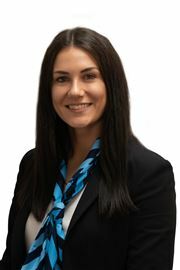 Marissa will help you with maximising your investment income in the current market conditions. With her comprehensive knowledge of the Residential Tenancy Act and experience out in the field, you will be well informed with no stone left unturned. 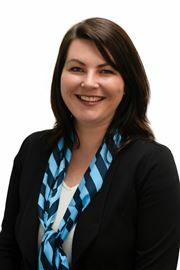 Tracy joined Harcourts in 2008 as a Property Manager and was selected as an outstanding candidate for this busy role. Her role involves all aspects of property management including finding great tenants for landlords and fabulous properties for prospective tenants, as well as dealing with day-to-day problem solving in arranging maintenance and upgrades. Although she maintains a large rent roll, Tracy prides herself on providing a high level of personalised service to all of her tenants, while maximising rental returns for her owners. She excels at building long term client relationships and works hard to ensure the stressful and sometimes complicated process of moving house is made as smooth as possible for her tenants. Lyn has been with the company quite a few years and during this time has gained a sound knowledge of all facets of Property Management Her current role as Trust Administrator is her most rewarding. Bold & Beautiful in Blackwood! Sold - Another Happy Venndor! Great Scott! Look No Further! SOLD - Another Happy Venn-dor! Rare Land Awaiting Your Plans! Ideal Home for Large Families.